Here at Boyer Signs & Digital Graphics, LLC we take your right to privacy very seriously. We will never sell or use your personal data to anyone or any company. Welcome to Boyer Signs & Digital Graphics, LLC. 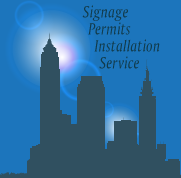 This website is owned and operated by Boyer Signs & Digital Graphics, LLC. By visiting our website and accessing the information, resources, services, products, and tools we provide, you understand and agree to accept and adhere to the following terms and conditions as stated in this policy (hereafter referred to as 'User Agreement'). This agreement is in effect as of Oct 7, 2014. Iiii. Impersonates any person or entity, including any http://www.customsigncenter.com employees or representatives. h. We do not assume any liability for any content posted by you or any other 3rd party users of our website. However, any content posted by you using any open communication tools on our website, provided that it doesn't violate or infringe on any 3rd party copyrights or trademarks, becomes the property of Boyer Signs & Digital Graphics, LLC, and as such, gives us a perpetual, irrevocable, worldwide, royalty-free, exclusive license to reproduce, modify, adapt, translate, publish, publicly display and/or distribute as we see fit. This only refers and applies to content posted via open communication tools as described, and does not refer to information that is provided as part of the registration process, necessary in order to use our Resources. i. You agree to indemnify and hold harmless Boyer Signs & Digital Graphics, LLC and its parent company and affiliates, and their directors, officers, managers, employees, donors, agents, and licensors, from and against all losses, expenses, damages and costs, including reasonable attorneys' fees, resulting from any violation of this User Agreement or the failure to fulfill any obligations relating to your account incurred by you or any other person using your account. We reserve the right to take over the exclusive defense of any claim for which we are entitled to indemnification under this User Agreement. In such event, you shall provide us with such cooperation as is reasonably requested by us. vi) no information or advice, whether expressed, implied, oral or written, obtained by you from Boyer Signs & Digital Graphics, LLC or through any Resources we provide shall create any warranty, guarantee, or conditions of any kind, except for those expressly outlined in this User Agreement. In conjunction with the Limitation of Warranties as explained above, you expressly understand and agree that any claim against us shall be limited to the amount you paid, if any, for use of products and/or services. Boyer Signs & Digital Graphics, LLC will not be liable for any direct, indirect, incidental, consequential or exemplary loss or damages which may be incurred by you as a result of using our Resources, or as a result of any changes, data loss or corruption, cancellation, loss of access, or downtime to the full extent that applicable limitation of liability laws apply. All content and materials available on http://boyersigns.com/, including but not limited to text, graphics, website name, code, images and logos are the intellectual property of Boyer Signs & Digital Graphics, LLC, and are protected by applicable copyright and trademark law. Any inappropriate use, including but not limited to the reproduction, distribution, display or transmission of any content on this site is strictly prohibited, unless specifically authorized by Boyer Signs & Digital Graphics, LLC. This website is controlled by Boyer Signs & Digital Graphics, LLC from our offices located in the state of Ohio, United States of America. It can be accessed by most countries around the world. As each country has laws that may differ from those of Ohio, by accessing our website, you agree that the statutes and laws of Ohio, without regard to the conflict of laws and the United Nations Convention on the International Sales of Goods, will apply to all matters relating to the use of this website and the purchase of any products or services through this site. UNLESS OTHERWISE EXPRESSED, Boyer Signs & Digital Graphics, LLC EXPRESSLY DISCLAIMS ALL WARRANTIES AND CONDITIONS OF ANY KIND, WHETHER EXPRESS OR IMPLIED, INCLUDING, BUT NOT LIMITED TO THE IMPLIED WARRANTIES AND CONDITIONS OF MERCHANTABILITY, FITNESS FOR A PARTICULAR PURPOSE AND NON-INFRINGEMENT. We cannot accept returns or process refunds due to errors on approved proofs (e.g. typos, low resolution graphics, etc. ), regardless of where the error originated. While we do our best to call attention to any errors we may see during the proofing process, final proofing is ultimately the responsibility of the client. Once approved, your order will print exactly as shown in the final proofs. Should you find an error on your printed order, please contact us. We, at our sole discretion, may offer a discounted reprint and complimentary rush service for customer approved errors. If your printed sign does not match your approved proof, please contact us immediately and we will reprint the affected pieces free of charge. We are unable to accept returns because your printed products does not match the colors you see on your screen. This is because all monitors and screens display color differently and may not accurately represent how your order will print. If you are concerned about color, you can provide PMS color values to us in the order completion notes at the time you order. If you provide color information after ordering, we may not be able to print your color if order production has already begun. Should you need to cancel or make a change after print approval, please contact us asap. Depending on whether your order has gone into production, we may be able to cancel it and process your refund. If your order is in the process of printing, we may be able to stop it midway and recover some of the costs for a refund. If your order has completed the printing stage, we will not be able to cancel, refund, or accept a return on the order. Signs ordered online are not returnable. This is because custom printed items are created on a per order basis and cannot be resold. Custom printed signs include, but is not limited to, banners, real estate riders and panels, magnetic signs and yard signs. In all matters regarding the above policies and terms, we reserve sole discretion in determining how or if an order qualifies for any after-order modifications.